All Stars Media posted Friday February 2, 2018. The month ahead is hectic for the All Stars with racing at 5 different tracks in 3 different states over a 5 weekend period. Hundreds of kilometres will be clocked up and many hours of mid-week work in the shed to make it all happen. Series champ Chris Solomon’s V83 currently sits in 2nd place in the Championship and wants to secure top points for Saturday night. Mark Caruso’s SA33 is leading the series but only has a 30 point buffer over Solomon. Elder brother Paul Solomon’s V7 sits in 3rd place. All of the top 3 are past Series Champions and you can guarantee there will be a battle between them all to become the first two time winner of the Series. 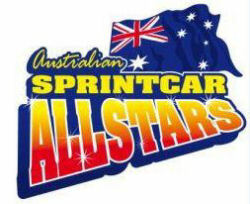 Newcomer to the All Stars is WA30 Jamie Landrigan. Landrigan is making the long haul from Port Headland in West Australia – yep that’s only 4500ks. Landrigan is a regular on the scene in WA running both 360 and 410’s and getting some good results for his short racing career. The team plan on catching about 3 shows before heading back home. Young cousins Jack and Ben Gartner are both improving each time they hit the track and with Jack’s SA16 Cool sitting in 4th place is proof. V29 Michael Tancredi has had Crew Chief guru Tony Bartlett on the spanners for the past couple of shows and is really getting confidence in the car. Brenten Farrer’s V34 will also be working towards a podium after having a mixed season so far with mechanical issues dampening his season. SA95 Jarman Dalitz and SA69 Cody Atkins are a couple more that are making the trip across the South Australian border. Throw in hard charger SA44 Dan Evans and Mr. Consistency James Wren’s V16, V78 Chris Campbell who has run nearly every weekend this season in either a 410 or 360 and racing is guaranteed to be exciting. Give aways for the kids, Driver autograph signing and exciting racing – what else can you wish for on a Saturday night. 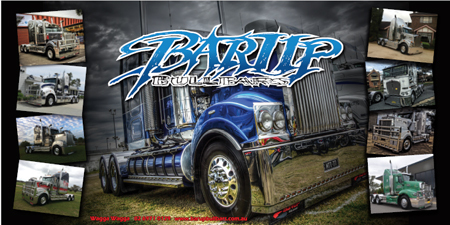 February 3rd Blue Ribbon Raceway, Horsham , 1650 Blue Ribbon Rd, Kalkee – 18k north of Horsham. Hot Laps start from 6.30pm.